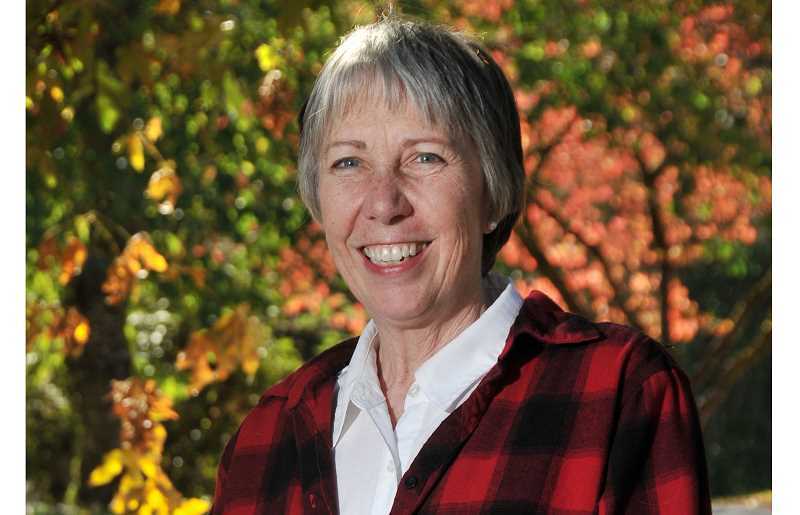 City Councilor Charlotte Lehan has laid the groundwork for many of Wilsonville's most important projects — including residential developments — over the last two decades. She presided over the final stages of buildout in Charbonneau back in the early '90s, began planning the Villebois neighborhood in the mid-'90s and, recently, helped plant the seeds for the upcoming development in Frog Pond West. Other than a four-year stint on the Clackamas County Board of Commissioners and a couple more years away from the council, Lehan has served on Wilsonville City Council the last 27 years. Now, she's competing against three would-be first-time councilors — John Budiao, David Davis and Ben West for two open seats. So why is she running? There are projects she would like to see through and she believes her perspective is valuable. "In terms of unfinished business, what I bring to the City Council is a level of experience and institutional memory that even predates the mayor's," Lehan said. "I think that's shown itself to be helpful in a number of occasions." Lehan wants to see the remaining development in Villebois hold true to the standards the City designated during planning — such as making sure the area has enough open spaces, parks and an effective stormwater system. In Lehan's experience, as councilors and developers reshuffle, sometimes a vision gets lost. "We don't want those to fall off the edge," Lehan said. "The builders now maybe weren't that involved at the beginning and didn't have the vision." Like seemingly everyone else in Wilsonville, Lehan is concerned about traffic. She hopes increased awareness across the region of issues tied to the Boone Bridge and a federal grant program could accelerate the timeline of Wilsonville's proposal to add an auxiliary lane to I-5 southbound from the Wilsonville Road exit to the Canby/Hubbard exit. Currently, the plan is projected to be implemented by 2027 at the earliest. Lehan, though, is more optimistic. "I would say 'Never say never.' Priorities get shifted a lot," Lehan said. "It would be nice if we could get a decent federal transportation bill. They used to come out every four-five years. We haven't had one in 15 years. "If a bill were to move at any time, we need to be ready to get on that list." In the meantime, she believes the proposed I-5 Pedestrian Bridge could foster less vehicular traveling across town. She said the Fifth Street extension to Kinsman Road and, eventually, to Brown Road, the recent added stacking lane onto I-5 Southbound and working with the Oregon Department of Transportation to discourage drivers who live outside of Wilsonville from cutting through Wilsonville may help alleviate some traffic headache. "We have to be extremely vigilant about traffic that comes in from the outside (of Wilsonville)," Lehan said. However, unlike West and Budiao, Lehan does not believe Wilsonville's density is an issue. She said much of that density is concentrated in senior living facilities and facilities for the mentally ill and disabled populations, which clog roads at a lower frequency than average. And in general, she said Wilsonville has a healthy distribution of housing options. "When people suggest high density means more drivers, I don't know if there are any numbers to verify that," Lehan said. However, she emphasized that she is not against single-family home development and noted that she presided over planning for Frog Pond West, which is slated to include mostly large single-family homes. Instead of density, Lehan sees the proposed extension of the Aurora Airport runway, which would likely lead to an increase of flights coming into the airport, as a threat to Wilsonville. "If we decided to extend the airport to the level they're talking: more employees, larger jets, maybe cargo jets — then you're going to have to have another bridge to deal with the traffic just for the employees," she said. "The auxiliary lane improvements would be blown away in an instant with that pressure coming south." Along with dealing with traffic and development, Lehan wants a say in how the city uses the money it will receive from regional jurisdictions as part of the Big Pipe project, which will build a water pipeline from Wilsonville to Hillsboro. Rather than flashy projects, she would like the $17 million to go toward lessening residents' utility rates. "I don't want to see us squander that money for feel good projects when it's money that belongs to ratepayers," she said. As for the aesthetic of the city, Lehan said helping Graham Oaks Nature Park avoid turning into a Charbonneau-style development and undergrounding utility wires in the community as two major successes in her tenure. "What that means to our city is it makes it much prettier," she said. "Our trees aren't butchered. We score very high for attractiveness and for being green and having all these trees." After growing up in Wilsonville, Lehan lived almost exclusively in cities along I-5 — such as Tigard, Lake Oswego, Pasadena and Seattle. But after moving around, she settled back in Wilsonville. She is proud of the city she has helped develop — which is another reason why she wants her council run to continue. "When it comes down to it I would say I'm running because I really love the City of Wilsonville," she said. "I've lived here most but not all of my life. I've lived a number of other places up and down the West Coast and I can't think of a place that I would rather commit my energy to."